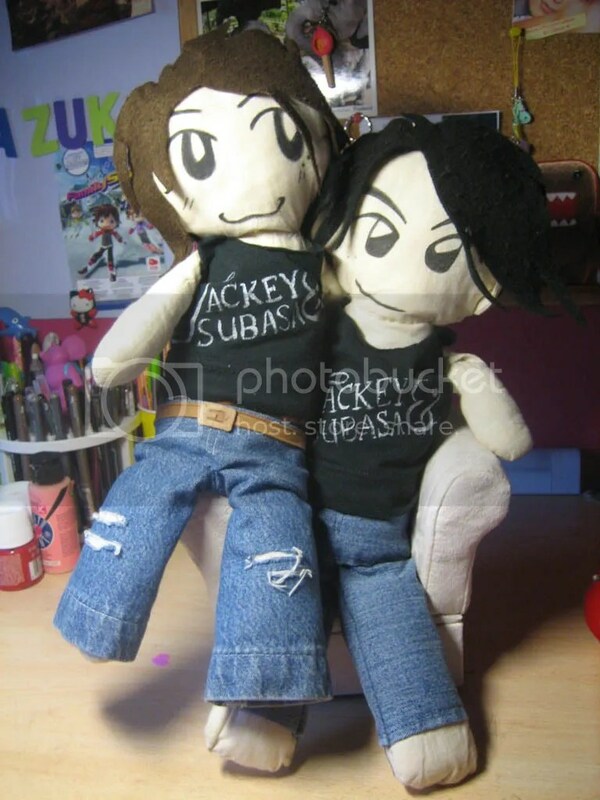 T&T dolls, as you know well, are two plush hand made dolls about Takki and Tsubasa. 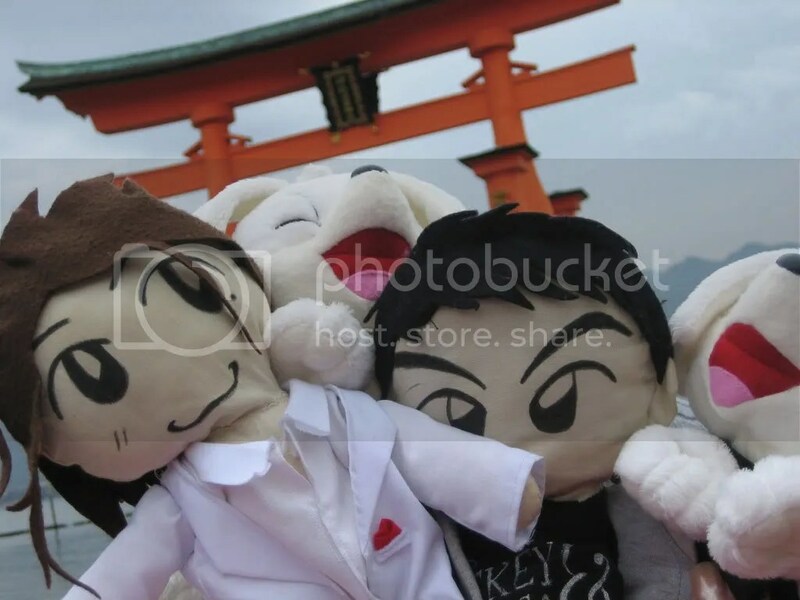 They’re original made by Azuki and friends, and they’re not for sale. I enjoy a lot living all the T&T facts with them. 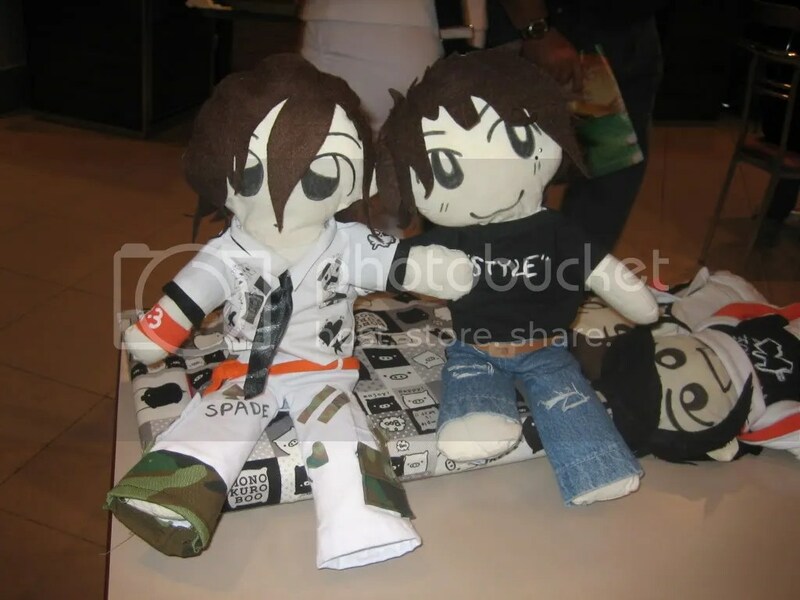 including sewing their new suits, watching dvd, listenting to T&T music and also, when it’s possible, going to T&T concerts & shows. If you want to know more, and have a lot of time, let me explain their story…. 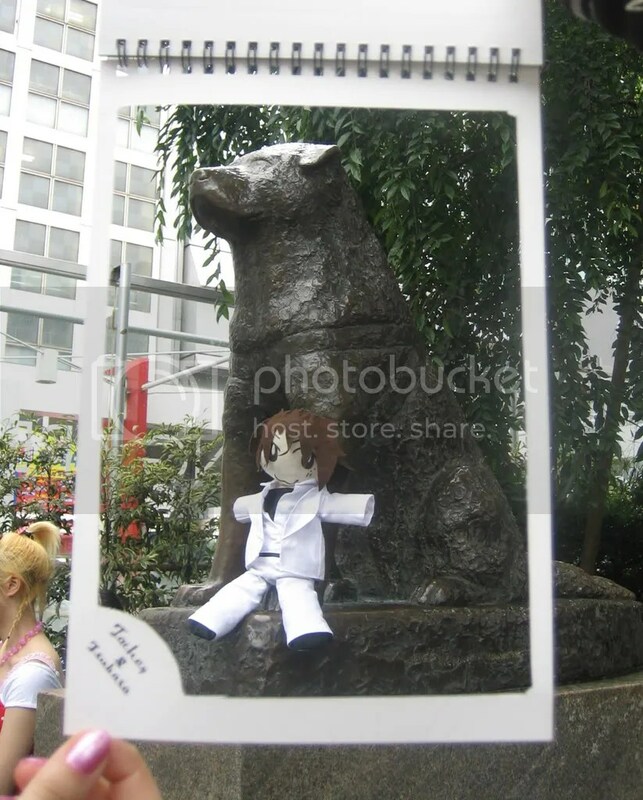 We traveled together all around Japan, going a lot of places, and taking a lot of pictures. We lived Ho! 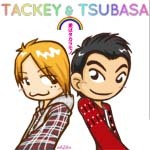 Summer realase and Tsubasa’s Style concert. 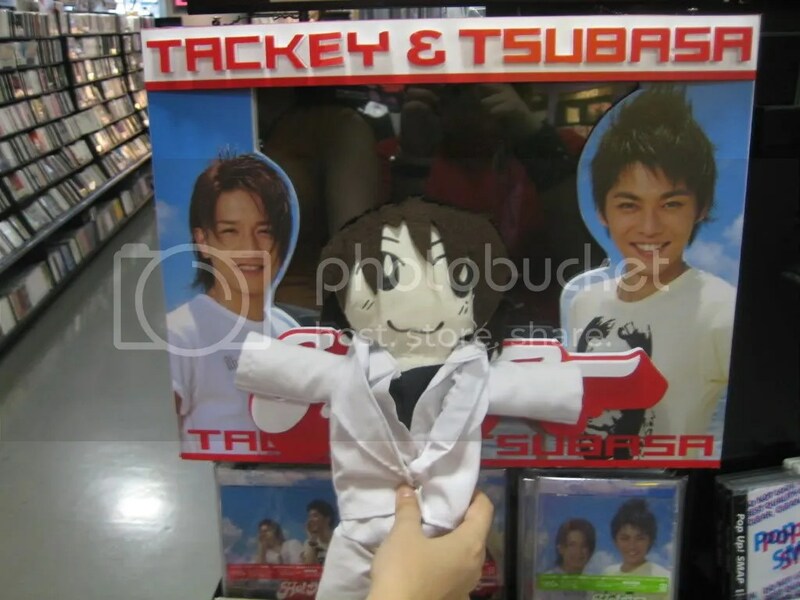 When I return from that trip, Takki meets his first roommate Yamapi doll. They spend a lot of time together and share a flat in one of my room shelves. 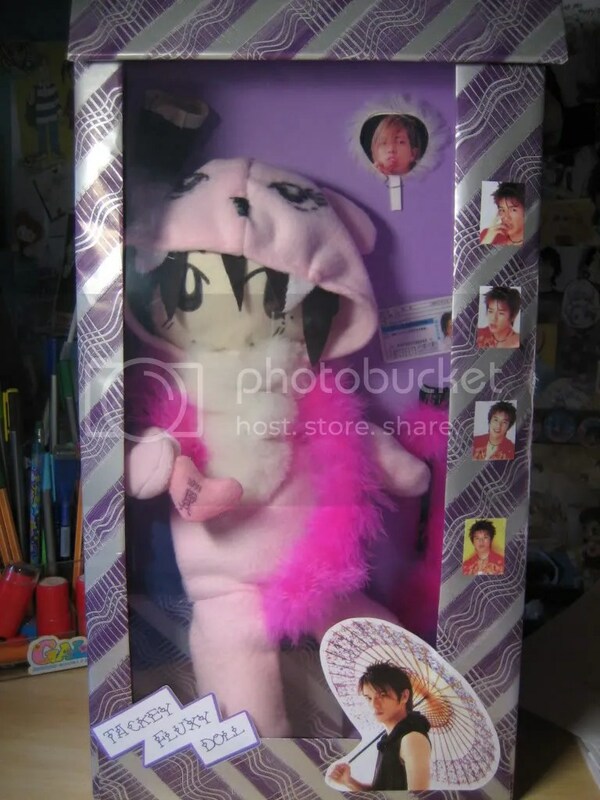 Then on Takki’s 26th birthday day I present him with Tsubasa doll and since that day they became best friends forever. 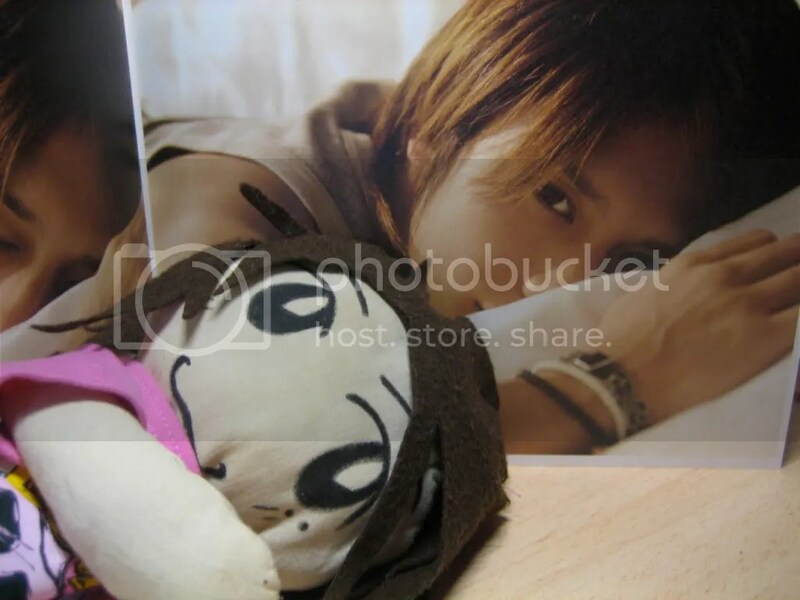 they became inseparable, living together (yamapi dolls moved to another shelve) going with me to all my trips and all the news of T&T. If you wanna know more adventures, read it in the blog, or visit their Facebook page.